Today permanent makeup not only offers cosmetic procedures like eyebrows, eyes and lips procedures, but also has esthetic purposes. The most common procedure is scar and skin camouflage. It falls under the category of medical or paramedical tattooing. There are different names of this treatment: scar camouflage, skin repigmentation, camouflage tattooing and others. Typically people,especially women, lose their confidence because of the body or facial scars. The purpose of skin camouflage is to disguise a damaged area which is missing pigment. After this treatment the skin will look more balanced and healthy. 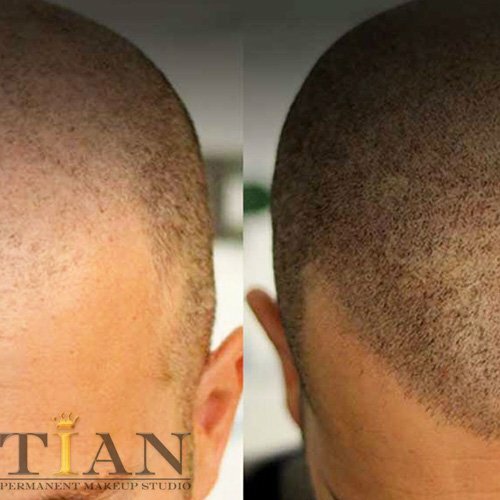 Tian Permanent Makeup Studio offers skin, burns and scars camouflage treatment . With a special technique a professional permanent makeup artist may reduce the appearance of a scar which can’t be improved by plastic surgery or laser. Scar and skin camouflage is the procedure when colour pigment is injected to the affected area with help of the highest quality equipment in order to gradually blend it with the surrounding skin and make it almost invisible. In other words, scar or burn camouflage is a tattooing of the skin and blending a pigments to skin color. Important to know, that this procedure requires a lot of experience and skills in permanent makeup as well as an artistic eye on colors and skin tones. So if you want to get a desired result, choose the technician carefully. Every scar is different. It depends on the location, size, shape, colour, depth and so on. According to this, you might need only one procedure or multiple. Important to understand, that the camouflaging the scar doesn`t restore the tissue, so it is not suppose to look exactly like it was before damage. But, despite of this fact, scar camouflage treatment makes the damaged skin area look much healthier and even. The positive results from the treatment can last during lifetime. ● Fixing the scars and burns on the face and body. ● Remove scars from surgeries: C-section, appendix, mastectomy, laparoscopic surgery and other. ● Remove scars from accident. ● Correct congenital skin defects and birthmarks. ● Right after the injection of the fillers,like botox or restylane. ● If you use certain medication, such as blood clots preventing or immune system boosters ( ask your technician during consultation). ● Certain type of diabetes. Do not peel or scratch the treated area! Do not expose the treated area to direct sun. If scar camouflage treatment sounds like what you need, feel free to meet our professional technician for a free consultation.